Lost administrator password and now you cannot log into Windows? It can happen to anyone especially those who constantly change passwords or haven’t used their computer for a long time. There is a useful password removal software called Reset Windows Password, which can help you instantly remove lost Windows 8/7/Vista/XP password. However, if you insist on recovering the original password, there is another easy method to crack your password by using the most popular Windows password recovery freeware: Ophcrack Live CD. Ophcrack is a Linux Live CD using which you can boot your computer and it will automatically crack Windows login passwords for all your user accounts. Here is how you can recover Windows administrator password you have forgotten using the Ophcrack live CD. How to Recover Lost Administrator Password with Windows Password Recovery Freeware? Step #1: First of all you’ll have to download Ophcrack. Once the Live CD ISO is downloaded, you’ll need to burn it on a blank CD using a software like ISO2Disc or ImgBurn. Step #2: Now when ever you forget or lose your Administrator Password. On system restart, insert the burned disc into your CD/DVD-ROM. Make sure you have set the boot sequence to CD-ROM first. If not go to BIOS and set the boot sequence accordingly.If every thing works, you should see a loading screen immediately. Step #3: Once the Live CD loads it will automatically start working on the passwords, using rainbow tables and some pre-calculated data stored in memory, it will crack the password depending upon the length and complexity. For average passwords of length 6-10 letters it can take up to 3-7 minutes. In case you have more than one account, you will have to choose from a list of accounts. Step #4: Note down the cracked password once its displayed. After recovering your lost administrator password, you can take the Ophcrack CD out from the CD/DVD drive and start booting into Windows. Type in the recovered password at the Windows logon screen, you can then successfully logged back into Windows. Ophcrack Live CD can really help those who forgot Windows administrator password on regular basis. However, it does not crack strong passwords. If your password uses only numbers and letters (both lowercase and uppercase letters), then you have a better chance of the password recovery. I get many questions from our customers about how to recover a lost Windows password. Sometimes busy day makes you forget a few things such as your windows password. What to do if you forget your password? And the password hint is not helping your brain to remember the password. You have to recover Windows password in order to log back on your computer. There are several ways to recover a lost windows password. Hidden administrator account method and third party software are some of the methods you can try. In Windows 8/7/Vista/XP, there is a built-in administrator account that is hidden from the Windows logon screen. By default, this user account is not password protected. If you haven’t created a password for the hidden administrator account, you can use it to log on your computer and then reset any user account password easily! There are two options to access the hidden administrator account: one is to start up the machine in the Windows welcome screen and pull up the classic login dialog. Press Ctrl+Alt+Del twice in order to do this. The classic log on dialog will display an editable user name and password field. In the User name field, type in Administrator, leave the Password field empty, and log into Windows. The second option is to boot the machine into safe mode by tapping the F8 key as the computer first started, then logged in as Administrator with a blank/empty password. First, download Password Recovery Bundle on another PC in order to make a bootable Windows password recovery CD/USB drive. After the download is complete, install it. Launch Password Recovery Bundle and click on Windows Password button, a new dialog will appear which enables you to create a bootable recovery disc. After the recovery disc is created, move to the locked computer with a Windows password you want to recover, either insert the CD/DVD or the USB flash drive what you opted for and select it as the first boot device in computer BIOS. Choose the SAM registry file for your Windows installation, it will show you all the user accounts that are associated with your Windows system. Select the user account you forgot password of, and then click on “Reset Password” button. It will remove/reset your lost Windows password instantly! After you are completed with all the above steps successfully, remove the Windows password recovery CD/USB drive and restart the computer. you can then immediately log back into Windows without a password. It’s so easy to recover a lost Windows password! It’s illegal to recover others’ Windows passwords without permission. This tutorial is designed to recover only Windows password on your own computer when necessary. If you worry about others using it to recover your password, make sure you are the only person who have physical access to your machine, or go to BIOS > change the boot sequence > HDD first > and then set a BIOS password, so others are unable to boot your computer from a CD/USB drive. What to Do if You Forgot Windows Password? What to do if you forgot Windows password? In this tutorial we’ll show you all tips and tricks you can take to recover or reset your forgotten Windows password, so you can log back into your PC without reinstalling Windows 8, 7, Vista, XP or Windows Server 2008/2003/2000. Windows may ask for your password to continue using the computer. This is true if the user account was set up with a password. The password to logon to Windows is set to expire after 42 days by default, but if your password expires or you forget your Windows password, you cannot logon to Windows. Many people have asked the question “How do I unlock my computer without a password?” and we’ll answer that by providing steps in recovering or resetting forgotten Windows password. If you tried entering the password but Windows does not recognize it and you cannot remember your password, you can try clicking the question mark beside the password logon box. It will show the password hint that you had entered before. However, if you still can’t remember the password after answering the password hint, your other option is by using your password reset disk. Many people do not create a password reset disk which means that option is not for you. For end-users who have created a password reset disk to prevent issues with a forgotten password, simply insert the floppy diskette into drive A. Follow the wizard to creating a new password and the new password hint, then use the new password to logon to Windows. People who failed to create a reset disk must not lose hope because you can try resetting the Windows password by rebooting the computer to safe mode. Proceed to logon using the hidden Administrator account. Note that the hidden administrator account does not have a password, so simply click the Admin account to login. However, if the PC vendor created a password for the hidden admin user account and you did not reset it, type “password” without quotes as the password. Proceed by navigating to User Accounts in the Control Panel, then create a new password for the account that was locked out due to a forgotten or expired password. Restart the computer to normal mode and logon using the new password. If you happened to create an account password for the hidden administrator account but you forget that as well, your only option is to either reinstall Windows or by using third-party software to recover or reset your forgotten Windows password. Forgot Windows login password? Account locked out due to invalid password attempts? With Reset Windows Password utility you can reset Windows local admin/user passwords on Windows 8/7/Vista/XP/2008/2003/2000, change forgotten domain user passwords in Windows Server 2008/2003/2000, and unlock any user account which is disabled or locked out. If stay online most of your life, probably you have a long list of secure passwords that you need to remember. Many password manager software are available for you to store passwords so you can login to your favorite Web sites securely with a single click. But none of such software can help you auto-fill your Windows login password on Windows logon screen. So we need to remember Windows password by ourselves. There are many occasions when you might forget Windows password, or the administrator account is locked out as you mistype your password too many times. This happens more often than we would think! How to recover Windows administrator password if you forgot the password and can’t login. In this tutorial I’ll show you how to recover Windows administrator password without logging in. The recovery procedure can be divided into 3 steps generally. First we need to download the zip archive of Reset Windows Password utility. The software comes as an ISO image file which you have to burn to a CD. It’s also possible to boot from a USB stick. You can create a Windows password recovery CD using any CD burning software you like. If you don’t have one, you can use this freeware: ISO2Disc. To make your locked computer boot from a CD, you need to change the boot sequences in your computer’s BIOS: move CD-ROM at the top of any other boot devices. The computer will try to boot off a CD or DVD before your hard drive. Put the Windows password recovery CD in the CD drive of your locked computer. Restart the computer and it will load the Windows PE operating system in the CD. After a while, the Reset Windows Password program will launch, which shows all Windows SAM registry hives and Windows user accounts available in your computer. Select the Administrator account and then click Reset Password button. The program will remove your forgotten password instantly, also unlock the account if it is disabled or locked out. Restart the computer and remove the Windows password recovery CD, you can successfully log in your Windows system without being asked for a password. Keep the CD in a safe place, so even if you forgot the administrator password next time, you can recover Windows password and regain access to your computer using this CD. Enjoy! 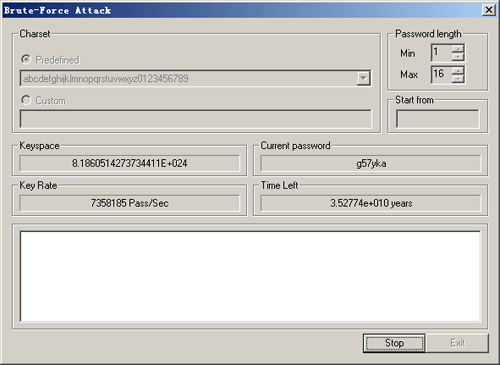 A lot of methods are available to crack and recover Windows password. One of the most popular software is Ophcrack. Even I have written a tutorial to cover the steps of recovering Windows 7 password using Ophcrack, many users still can’t get it to work. I think the mainly factor is that Ophcrack is a Linux-based CD and it’s only appropriate for experienced computer users. Also we can’t assure a 100% recovery rate with the software. In this article I’ll show you a much easier way to delete Windows 7/Vista/XP password using a professional Windows password recovery software – Reset Windows Password. That is what this post is about. I have not found any other method simpler than this one, it resets your forgotten Windows password instantly. We only need to prepare a blank CD or USB drive to perform the password resetting. Let’s go! Click this link to download and extract the zip archive of Reset Windows Password, which contains an ISO image file: ResetWindowsPwd.iso. Burn the ISO image to a blank CD or USB drive using the freeware ISO2Disc. Now start the system which you want to reset the password by putting the CD or the USB in the computer. While start up you have to make sure that it boots up from the disc you just burned. In order to do this, go to your BIOS settings and change the boot order: move CD/DVD or Removable Device on top of other boot devices. After booting from the CD or USB drive, the computer will load a mini Windows PE operating system, not any operating system on your local hard drive. Less than one minute, the bootdisk will launch the Reset Windows Password program. It’ll automatically select the Windows SAM registry hive for your Windows installation, also display a list of Windows user accounts. Choose the user account whose password you want to reset. Click Reset Password button to delete the forgotten/unknown password. Now start the computer and you will find that it is not asking for password for the user whose password you just deleted. That’s it, you are done. As it’s known to us, a strong password is an important aspect of computer security. 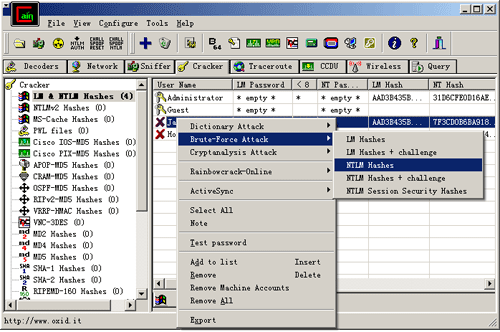 Many computer users set an extremely complicated Windows password consisting of various numbers, characters and symbols. It will greatly improve the system security without doubt. But if the user has bad memory, the complex Windows password can be easily forgotten. At that time, one has to find some Windows password recovery tips to unlock the computer. Have you thought of some tips to avoid the problem of forgetting Windows password? Never write your password on a sticky note plastered to a desk or monitor. If you are easy to forgot Windows password, you can make full of features in Widows: set a password hint to help you recover your Windows password, and create a password reset disk to reset Windows password if your password is forgotten or lost. Some systems, like Windows 7, Vista and XP, allow you to create a password hint so that you can get some clues to recall your forgotten Windows password. You can create a password hint easily when you set a Windows password to log on to computer. Please note if your computer is on domain (Active Directory), you cannot create a password hint. The Windows password hint should be something that can help you recall your forgotten Windows password while it will not leak your Windows password to others. But don’t set a password hint that is easy for others to guess your actual Windows password. Click Start button, Control Panel, User Accounts and Family Safety and User Accounts. Click Create a password reset disk in the left pane. The Forgotten Password Wizard will open, insert a USB flash drive and then click Next. Select the USB drive which you want to create a password reset disk on, and then click Next. Enter your current password, and then click Next. When the progress indicator shows 100% complete, and then click Finish. Once the Windows password reset disk is created, it can be repeatedly used to reset Windows password without limitation. If it falls into hands of others, he or she will be able to enter your computer by performing Windows password reset with the USB drive. So please keep your password disk in a safe place. With the development of technology, you can not only set a Windows password composed of letters, numbers and symbols, but also create a password with fingerprint. If you are a Window 7 user, you can enable fingerprint logon. If you forgot Windows password and don’t have a password disk, you can resort to Windows Password Recovery software such as Password Recovery Bundle. It allows you to easily reset lost or forgotten Windows password by burning a bootable password reset disk. Boot your locked computer from it and you can remove forgottten Windows password instantly.